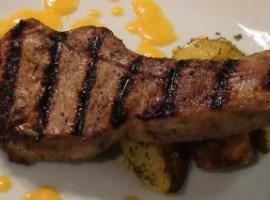 The thicker the pork chop, the better. That's a pretty good general rule when it comes to pork chop perfection. But cooking thick chops, like 2 or more inches thick does require a bit of technique to make sure the pork stays tender and juicy in the center, with a ton of caramelized flavor on the crust. 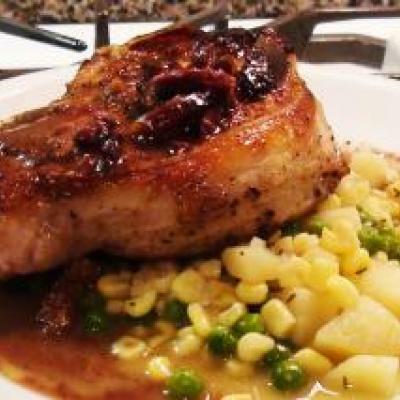 Well you've come to the right place if you looking for the the recipes & techniques to cook your perfect thick cut pork chop. Here, I've grabbed all my favorite recipes, as well as my cooking guides that will take you through brining the pork chop, seasoning & flavoring, cooking for how long and at what temp, and serving it up. 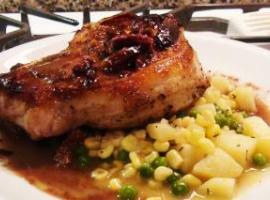 You're going to be amazed at how awesome a well cooked, and wonderfully thick, pork chop can taste. Enjoy!